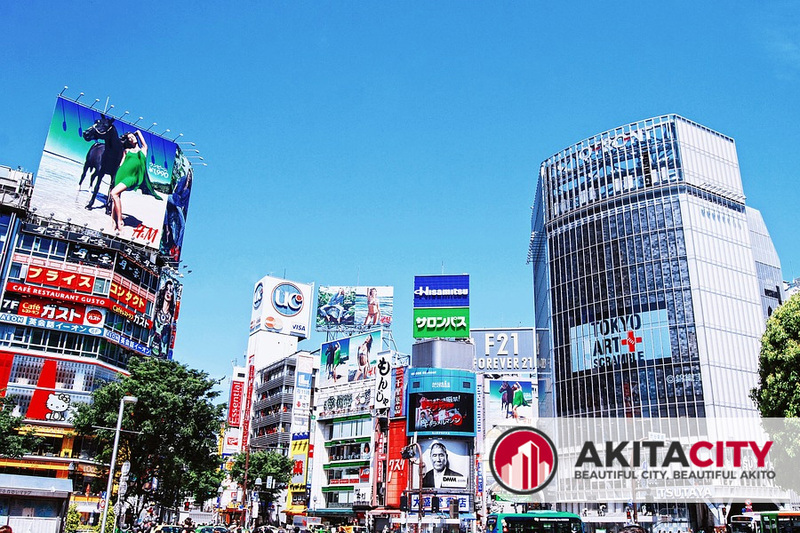 When you visit Japan, shopping is likely on your list of things to do. They have many cool gadgets and cultural items that are often on souvenir lists. To help you find your way and do the shopping part right, we would like to share some much-needed information. You need to know the types of stores that you will find as well as the right way to approach shopping. Here goes. Electronic stores – These stores are what you would expect from an electronics store. They carry all different kinds of electronic devices like computers, cameras, and televisions as well as gadgets and accessories. These stores can often be mega stores found near train stations and other such areas. Department Stores – Department stores offer a range of products and their products are generally of a higher quality than other stores. They also have very good customer service. You will also find dining options in these stores. Convenience Stores – They offer all the basic essentials as well as food and drink products. They are open everyday all week for your convenience. You will also find ATMs and possible ticket services at these stores. 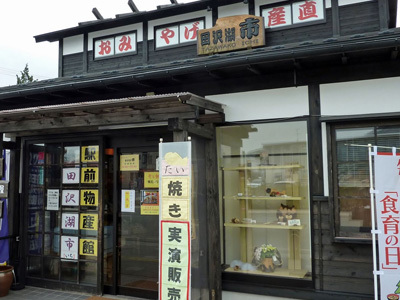 100 Yen Stores – These are great for those traveling on a budget. They offer a great range of products for the low price of 108 yen. You can buy souvenirs, clothing, gadgets, etc. 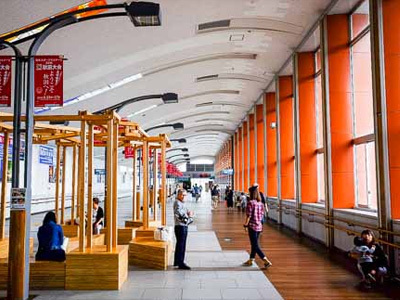 Shopping Arcades – This is a site to see and an experience you want to have. Shopping arcades are old streets that are lined with small stores on both sides. Many of these arcades are covered and offer the widest variety of stores you can think of. Shopping malls and outdoor markets are also all over and are similar to what we’re used in the Western countries. Shopping hours may vary – Not all stores are open during the same hours. Larger stores and malls may be open for longer while smaller ones may open later and close earlier. 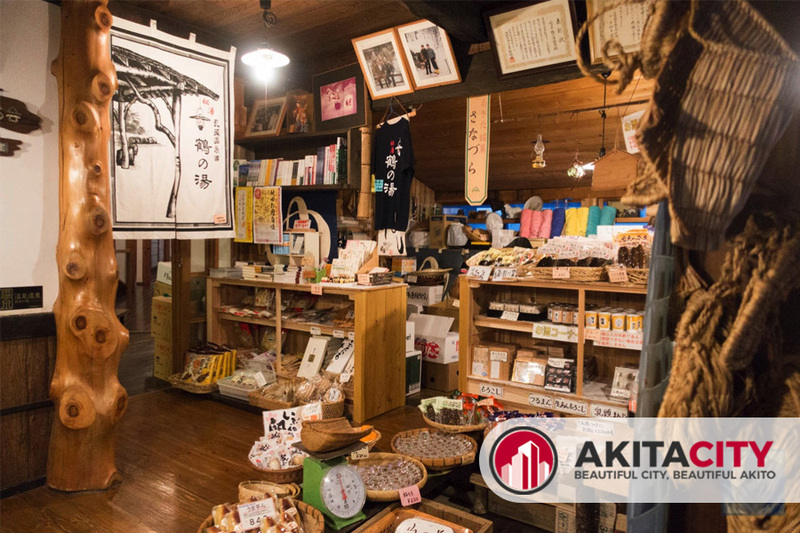 Be friendly and polite – The Japanese are courteous and will greet you when you enter a store. They generally don’t expect a response, but it is nice to at least smile in response. Consumption tax – You pay a flat rate of 8% tax on all things you buy. There are options to buy tax-free if you are a foreigner and buy a certain amount, but there are terms and conditions that go with that. Carry cash – The easiest way to pay is with cash. Debit and credit cards are not accepted everywhere and small stores and vendors only take cash. It is best to carry cash with you when you go to shop. Your shopping experience in Japan is bound to be a lot of fun and you will get a lot of great stuff. If you remember to be friendly and considerate, you have half the battle won. Avoid bargaining and carry cash. Keep these things in mind and enjoy your shopping in Japan. Japanese people are reserved and polite by nature. Their culture is very considerate and does not work on the same principles and behavior as many Western cultures. 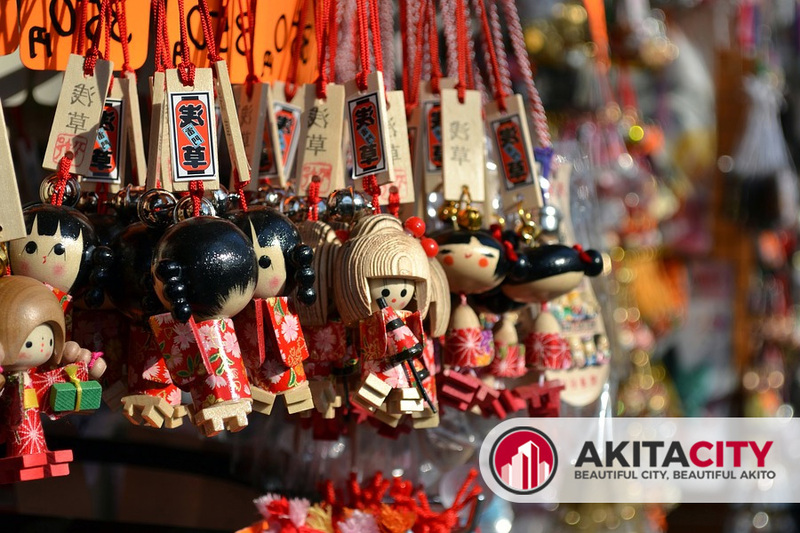 Before you visit Akita City or any other Japanese city, you should learn a little more about their culture and customs. 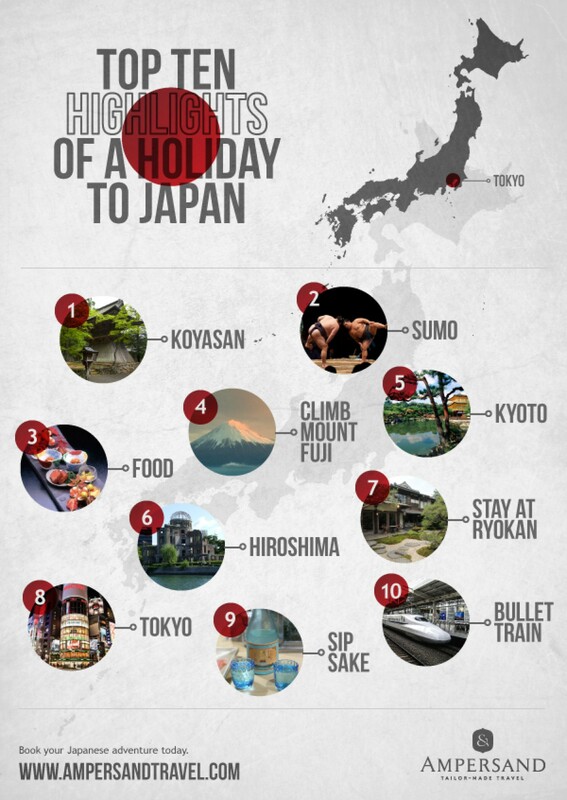 So, today, we want to share with you some things that you should avoid doing while in Japan. Take your shoes off – One of the most well-known customs that most people across the world know is that you don’t enter a Japanese house before taking off your shoes. They usually offer guest slippers that can be put on before entering the house and so preventing the dust and dirt from outside to be trekked into their homes. Soy sauce doesn’t go over the rice – Rice is served with every meal from breakfast to dinner. It is a staple food. Beware to not douse your rice with soy sauce by dumping a whole lot straight onto the rice. This will be frowned upon. The correct way is to take some of the rice and other food and dip it in the sauce to add flavor. Don’t line up at the bathroom – Most of us are used to queuing outside the bathroom if all the stalls are in use. In Japan, you choose a stall and wait in front of it until it becomes available. The first-come, first-serve rule does not apply here. You need to wait for your stall and not take the first one that opens up even if you have been waiting longer. 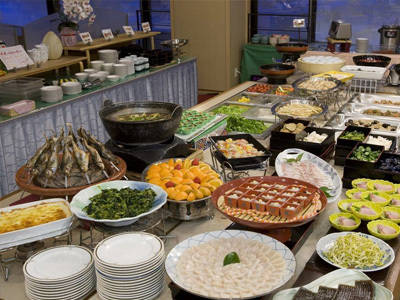 Learn the chopsticks – You should definitely learn to eat with chopsticks before you visit Japan. It is the polite and right thing to do. The locals will offer you praise for your skills. You should also brush up on the chopsticks etiquette as some customs and gestures are connected with rituals at funerals and other events. Basically, you should hold them the right way, only eat with them, and keep them near your bowl and no higher. Don’t walk and eat – This is something that most Westerners do daily. We buy food and eat and drink on the go to keep up with our busy lifestyles. This, however, is not accepted in Japan. Everyone takes the time to sit down or at least stand still to eat. No walking and dining. Don’t tip – Tipping is not accepted and definitely not welcomed in Japan. If you try to tip a waiter or taxi driver, they will find you rude. The workers in Japan receive good wages and do not require the added value of a tip. This is a very important tip to remember. Curb your phone calls – The Japanese are very well mannered and considerate towards others. They avoid making calls or taking calls in public or quiet places like lobbies. It is an accepted practice and you will definitely not win any favor by talking and laughing loudly during a phone conversation in public. You will be seen as rude and a disturbance. So, stick to texting when you’re out and about and leave the calls for when you’re alone. It is important to understand the cultural differences when you go to Japan. It would be a good idea to read up on their customs and culture before you go. 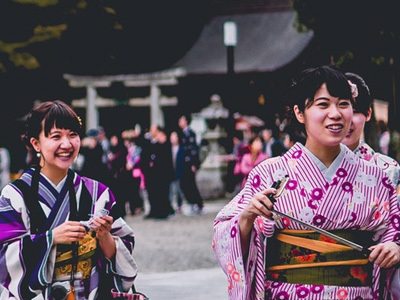 The Western ways and the Eastern ways differ in many ways and it would be ill-advised to visit the beautiful Japan just to offend and disturb the polite locals. Learn more about Japan through their own newspapers and websites. 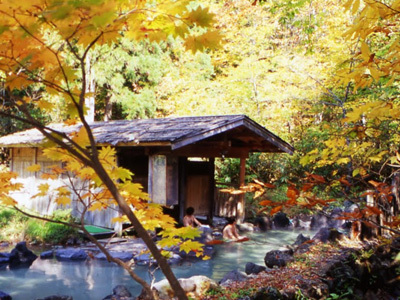 The Hachimantai hot springs are located in northern Akita and Iwate Prefectures. It is a mountainous region that is far removed from the cities and traffic. You will find the peace and quiet a true escape from everyday life. It is the perfect spot for a holiday. It is the best place to calm and renew your soul and heal your body. 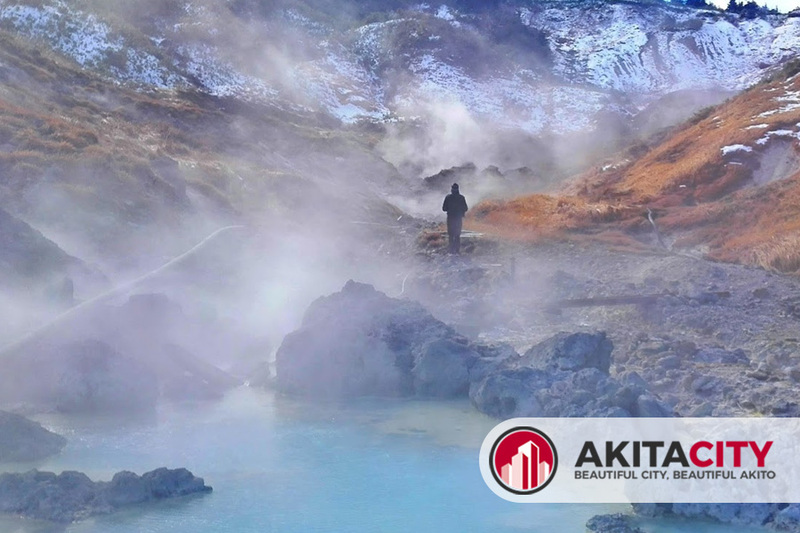 Hachimantai is characterized by hot springs, volcanic landscapes, and beautiful nature. There are many hot springs and resorts in this area and you will have your pick. Hotels, Bed and Breakfasts, and inns are found throughout the region. 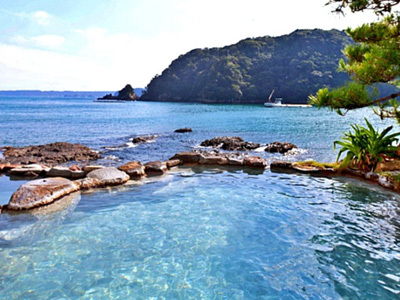 The Hachimantai hot springs are just one of the many places you can go to experience this natural wonder. 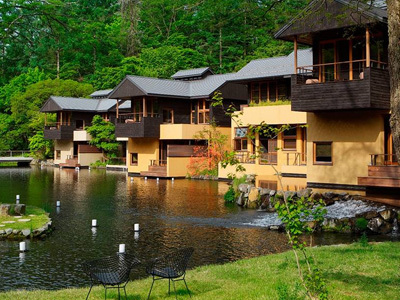 Some springs have their own lodges, like at the NyutoOnsen and others are open to visit without staying. 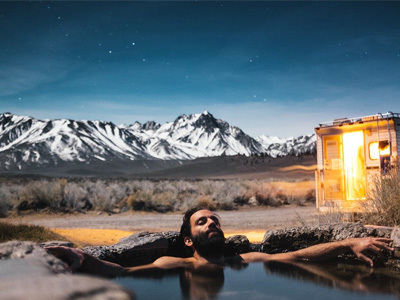 Not only are the hot springs relaxing and nice and warm in the winter months, but it also has health benefits. The springs are a natural way to release stress, relieve pain, and do some healing. The springs can help with rheumatism, hypertension, skin conditions, sore muscles, relaxation, diabetes, joint pain, burns, digestive problems, poor circulation, and more. The different springs have different base-elements and specific ones are more effective for certain conditions. 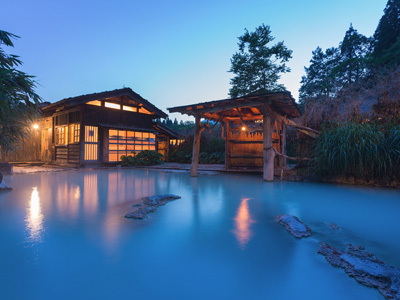 The types of hot springs include alkaline, sodium chloride with iron and carbon dioxide, sulfer, and hydrogen sulphide. Each of these is suggested for specific conditions if you want to reap the health benefits. 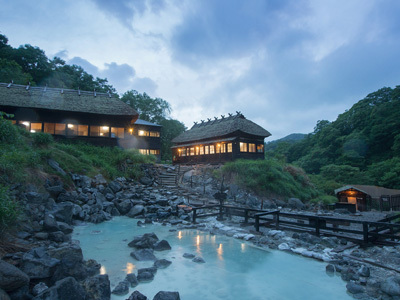 At the Hachimantai Resort, you can experience different kinds of activities besides visiting the hot springs and enjoying their relaxing effects. 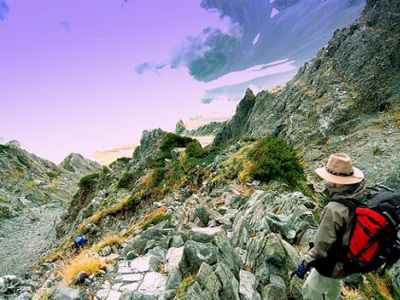 Activities like skiing, golf, fishing, trekking, and mountain climbing can keep you busy. The springs are ideal for when you get back and want to relax your muscles. 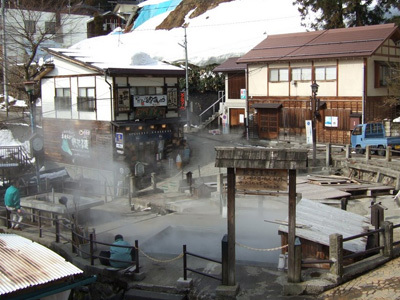 The Hachimantai hot springs are only one of the great hot springs destinations. 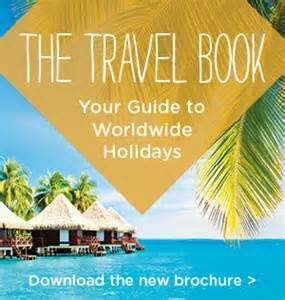 It is beautiful and offers all the things you would want from a holiday in the countryside. Lake Tazawo or Tazawa-ko is the deepest lake in Japan and is located south of the Towada-Hachimantai National Park. 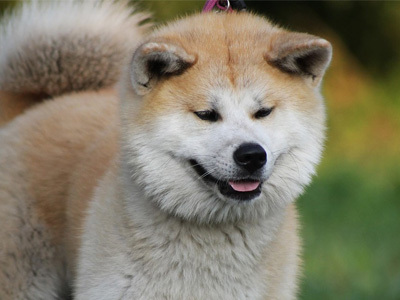 It is in the Tohoku Region and close to Akita City. This lake is mostly undeveloped and you can enjoy the natural and rustic beauty and atmosphere. Because of its depth, the lake does not freeze during winter and makes for an even more beautiful view. 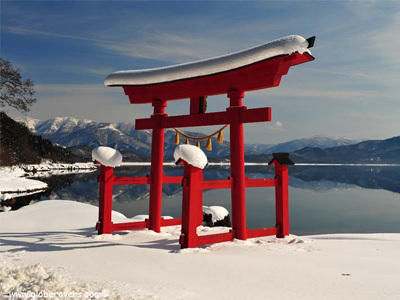 The Goza no Ishi Shrine can be found at the northern end of the lake and is the spot where the lords of olden times went to watch and admire the water. There is also a golden statue of a woman on the western side. 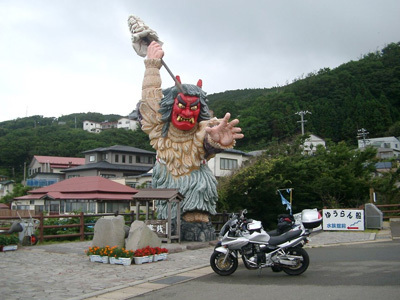 This statue is called Tatsuko and is a local symbol of a legend. It is said that the woman prayed to always be beautiful, but instead she was turned into a dragon and sank to the bottom of the lake. The lake area is not very developed and you won’t find many houses or stores. However, on the eastern side of the lake, there are a few shops and restaurants. You can rent bicycles to ride around the area and you can go on sightseeing boats across the lake. The boats don’t run during the winter months. 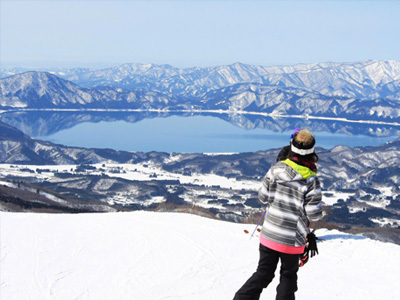 The Tazawako Ski Resort is located in Akita Prefecture and locals go skiing there often. It is said that few visitors go there because it is not that easy to reach with public transport. It is not the biggest ski area and it is very basic, so don’t expect five-star hotels and fluent English. The low number of tourists makes this spot even more of a hotspot on our radar. 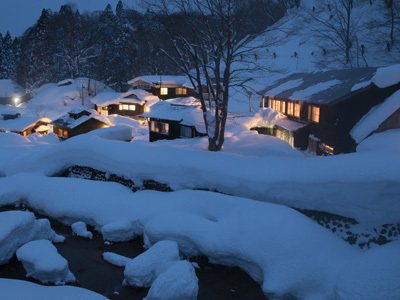 You can experience the culture and the snow without worrying about too many people. There are lifts and 13 courses to ski. The resort has a café and a shop where you can buy ski wear and equipment. There is also a ski school and daycare facility. The ski resort is a great idea to get away for a day or two. There is no accommodation at the resort, but there are options for accommodation down the road from the resort. 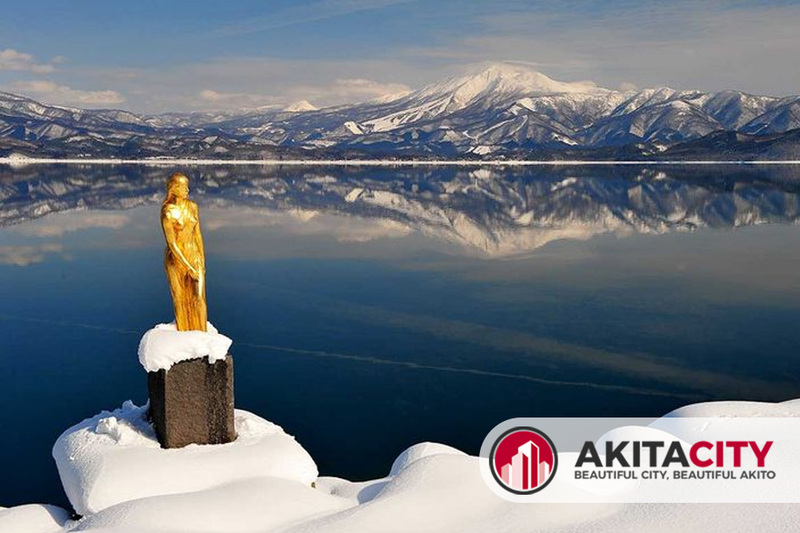 Whether you go in winter to ski or in summer to watch the beautiful lake and take in the scenes, you will have a wonderful experience at Lake Tazawako. Make it one of your stops even if it’s just for a moment on your way to the nearby hot springs. 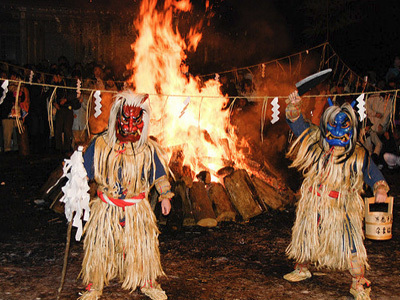 Shirakami-Sanchi means white god mountain area and is located in northern Honshu in Japan. 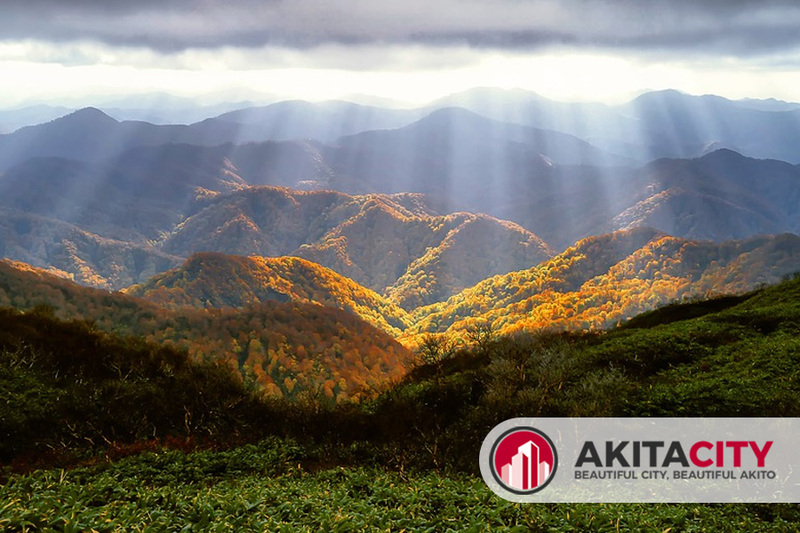 It straddles the Akita and Aomori Prefectures and was one of the first places in Japan to be declared a UNESCO World Heritage Site. 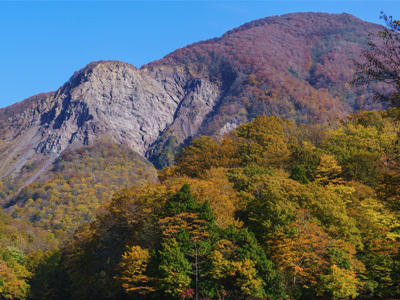 This mountain range and area is well-known for its Siebold’s beech tree forest. The central area of the Shirakami-Sanchi is a protected area and generally not accessible to the public. You need to apply for a permit to enter these parts. The outskirts of the mountain and forest are mostly where you will find the hiking trails and climbing paths. The area is very well protected and strict laws and regulations apply to it. The intent of several preservation organizations is to keep the area untouched by human interference and allow the natural eco-system to flourish. This is a triple waterfall area that is a popular spot for many tourists. 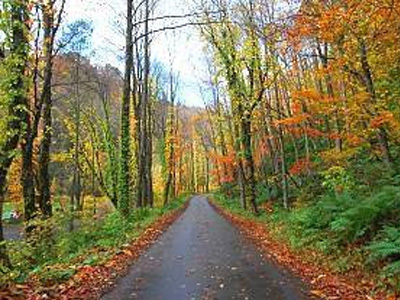 It is also part of a hiking trail that is approximately 90 minutes away from the trailhead. The falls are a few minutes’ hike apart and a beautiful site. The trail offers flat and paved hiking at the beginning but becomes more steep and challenging as you go. As a preserved area, it is no surprise that you can find all kinds of animals and plant species along the hiking trails. You can expect to see some of the following animals on your hike: black woodpecker, golden eagle, dormouse, Asiatic black bear, Japanese macaque, and the Japanese serow which is a type of goat. Juniko is a destination among the hiking trails where you will find a series of twelve lakes. The lakes and ponds are small and connected by the different hiking trails. 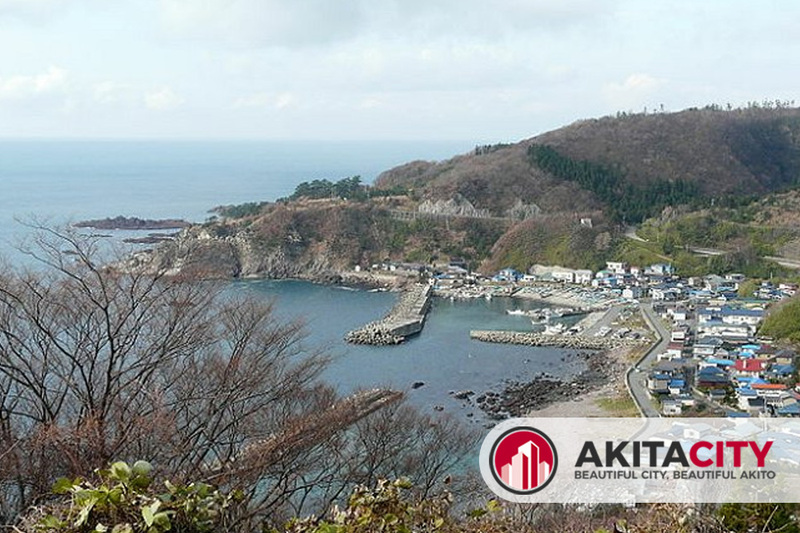 You can take part in several different activities at Juniko including hiking, fishing, and camping. The Junik Eco-museum CenterKokyokan can also be found here. This center offers a lot of interesting information on the beech forests and the preserved area. The Nihon Canyon can be found near the entrance of Juniko. This is a miniature version of the Grand Canyon and has walls of grey and brown. The lakes and ponds of Juniko are connected with trails which are connected to the canyon. 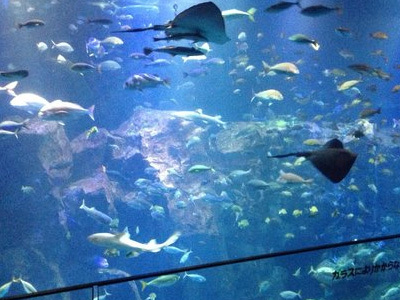 It is one big and beautiful intricate network of water, trails, and nature. During the winter months, both Juniko and the canyon are closed as the trails and destinations are inaccessible due to the weather. 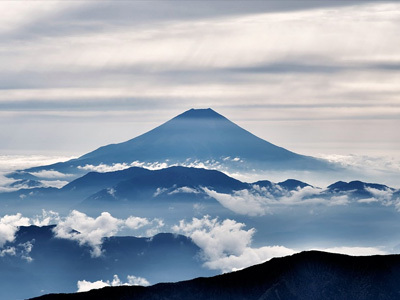 Shirakami-dake is the highest peak in Shirakami-Sanchi and offers a majestic and breath-taking view of the forests, lakes, and surrounding country. The peak is not part of the heritage site and can be accessed without permission. 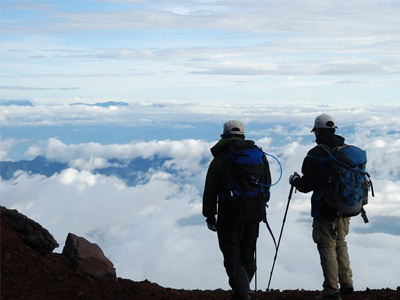 Other hiking trails that are mainly accessible by car and are more strenuous than those of the Juniko include a trail to Mount Futatsumori and to Mount Shirakami-dake. As mentioned before, Shirakami-dake is the highest peak of the mountain range. 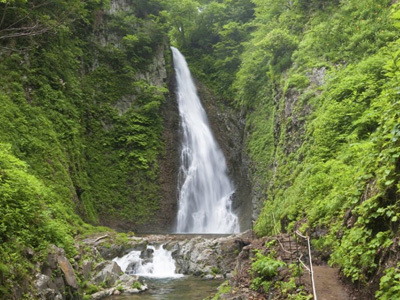 You will also find a few hiking trails in the Dairakyo Gorge that leads to the peak of Mount Komagatake and takes you past the Tanashiro Swamp. 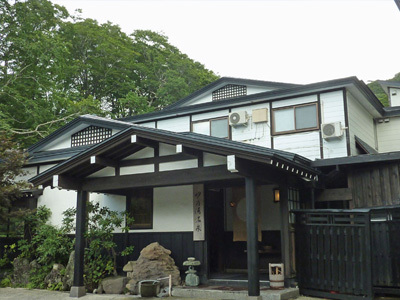 Because of its heritage site status and a large number of tourists, the Shirakami-Sanchi hosts several visitor centers. The World Heritage Conservation Center in Fujisato in Akita offers the most information and it even has its own museum about forests. 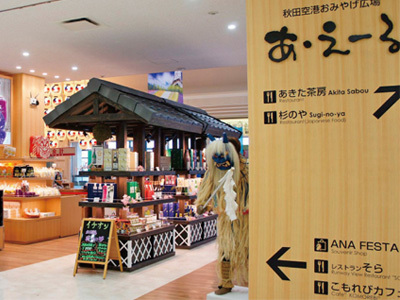 The largest center is the Shirakami-Sanchi Visitor Center that you will find between Hirosaki and the triple falls. It also has a museum and offers information in English. You can even take in a 30-minute IMAX movie if you want. Shirakami-Sanchi is one of the most beautiful and naturally preserved places you will ever get to see in your life. 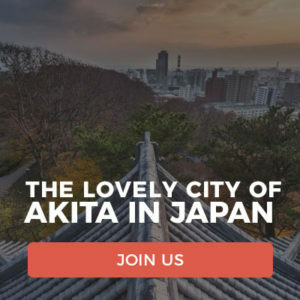 If you go to Japan or Akita, this hotspot should definitely be a priority. 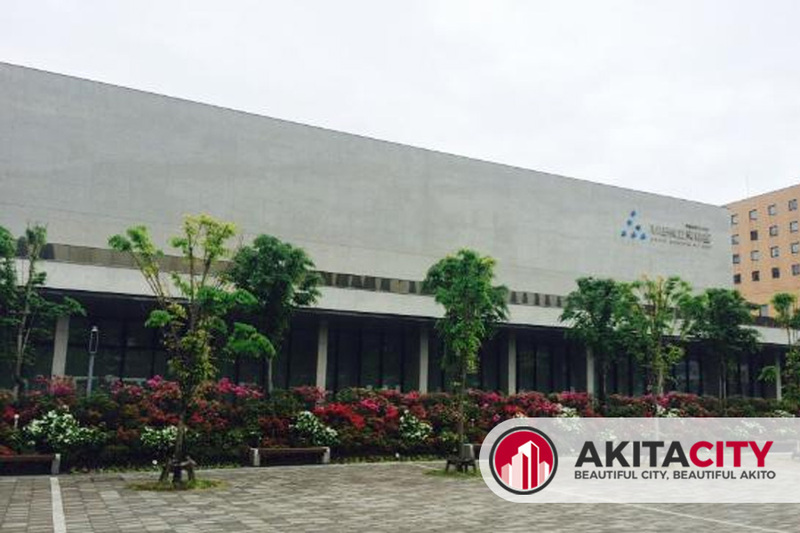 The Akita Museum of Art is one of the must-visit hotspots in Akita City in Japan. It not only holds beautiful pieces of art but is an artwork itself. The architecture is beautiful and the museum was designed by Ando Tadao. 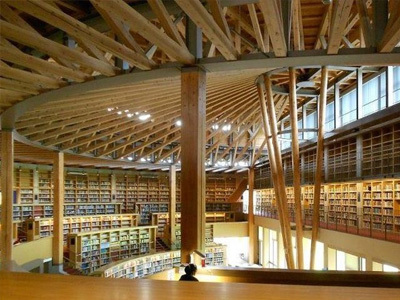 Ando Tadao is one of the most renowned architects and it shows in this masterpiece. In the entrance of the museum, you find yourself below a large triangular skylight. Another breath-taking architectural feature is the free-standing staircase. 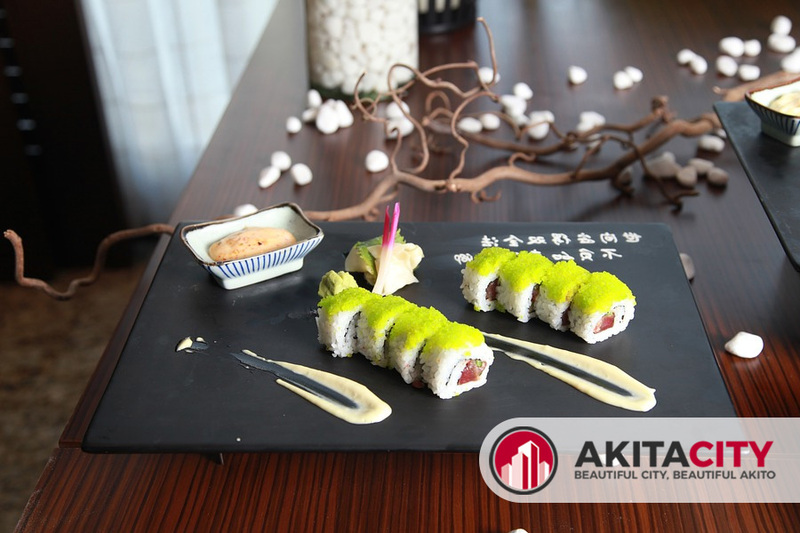 Ando Tadao is renowned for good reason and when you see these features in real life, you realize why. 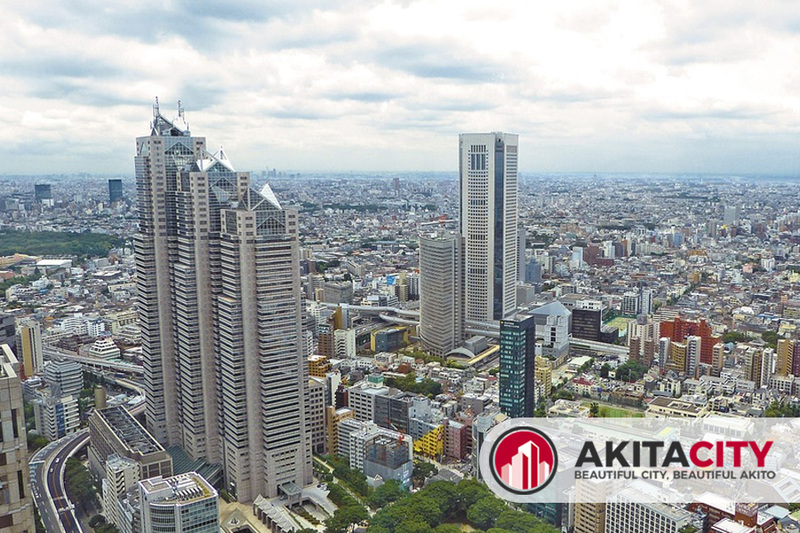 You can view the beauty of Senshu Park through the glass panel walls on the second floor. The café and museum gift shop are also on this floor. So, you can enjoy coffee with a view surrounded by art masterpieces. Tokyo born Fujita Tsuguharu was also known as Leonard Foujita. He is the most famous Japanese painter who did Western-style paintings. His work is loved across the world and the Akita Museum of Art features a large collection of his works. 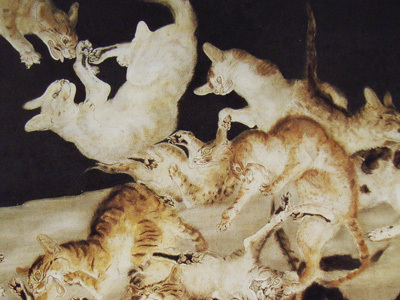 This museum is actually one of the few museums and galleries in the world that features works by Foujita. His most famous painting that hangs in the Akita Museum of Art is the mural called ‘Annual Events in Akita’ which shows Akita City in the four different seasons. The gallery also features works by Hirano Masakichi who used to be Foujita’s patron. You can also find pieces by local artists and other different city projects. There is a lot to see and you will learn a lot about both Japanese and Western art. Every country and culture has their own art and each of them has value. 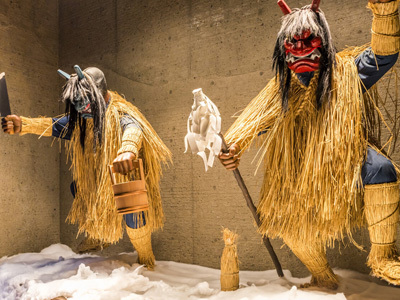 The Akita Museum of Art showcases art from local artists and those who have travelled the world and created their own style.  If you enjoy art and beautiful architecture, you definitely need to pay a visit to the museum when you go to Akita City.